We want it to be the best and most memorable day possible. Good Time Music Service understands the stresses that go with planning a wedding - our intention is to help eliminate the stress that goes with finding a quality DJ service. Our role for your wedding reception is more than just providing a great music mix, but to help ensure your vision for the evening is accomplished in a timely and professional manner. 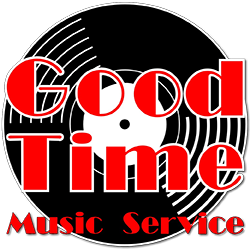 The Good Time Music Service DJ is equal parts music provider, emcee, and coordinator to help make sure your expectations for the evening are met and exceeded. To make the process easier, we have eliminated the confusing package based pricing tiers that most DJs utilize. You, most likely, are not an audio and lighting expert, making it difficult to know what is right for your event. Whether you go with our hourly rate or our standard eight hour package, you will receive the same equipment with no additional charges. Good Time Music Service only charges extra for additional uplighting, ceremony PA systems, and a reasonable travel fee when necessary. Our company also provides the DJ table, table covering, power, and should not require anything from the venue. Good Time Music Service has logged thousands of hours at weddings and we know that gives us a competitive edge over other DJ companies. As much as we know there is one person who absolutely wants to hear that one slightly obscure song, we believe in catering to the entire dance floor. Guests should be talking about how much fun they had at your reception and not how comfortable to banquet chairs were. 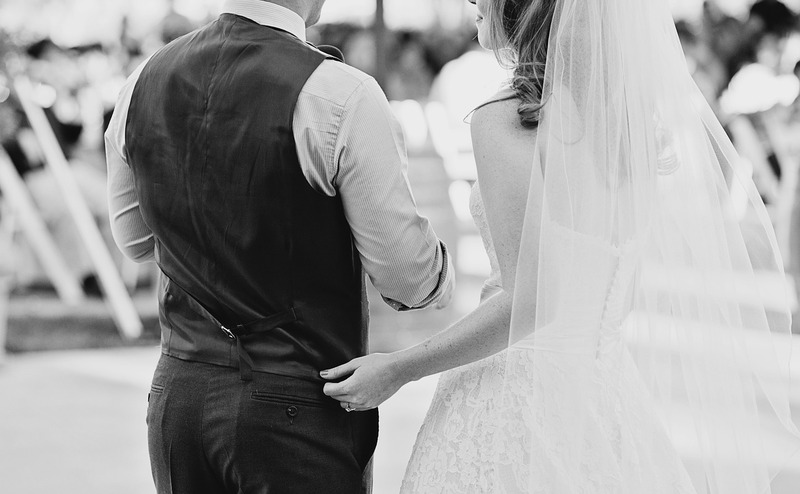 We honor requests from our brides and grooms, after all it is your special day. We meet at least once prior to the reception to discuss specialty music and the important 'please play' and 'please do not play' lists. Feel free to check out our planning guide as a great way to start putting thoughts down on paper...even if you don't go with us. We want to be a part of your special day and it is our hope that you choose Good Time Music Service. We believe that your entertainment should be a mutual fit and, at the very least, are happy to be of assistance in helping you find the right fit for your day if it is not us. We also recommend taking a look at our vendors section of the website, as these are companies that we have had the pleasure of working with before and know they too want nothing but the best for their wedding couples. Where should you start when it comes to booking? We recommend checking out our 'Hiring a Wedding DJ' guide which has in-depth tips for choosing the right DJ. If you are ready to find out more information on booking you can also contact us via email or feel free to call our offices. What is the payment process? We require a half down deposit to reserve the date, with the final balance being due two weeks prior to the wedding. No one should have to deal with cutting checks the night of their wedding. We accept cash, check, or credit card payment for your convenience. Does Good Time Music Service book more than one event on a date? Yes, but only because we have assembled the best team of DJs. We would never send anyone who was not adequately prepared to your event or who did not have a musical style that fit with our company. Quality assurance is extremely important to us as a company - it's what we have staked our reputation on. We have great bios on our DJs and would love for you to get to know them. How soon should we consider booking? Our dates fill quickly, but please contact us to make sure your date is still open. We recommend booking at least a year in advance to guarantee date preference, but on average six to eight months in advance is sufficient. Will we meet prior to the day of our reception? Yes! In fact we guarantee that we will meet at least once, if not two or three times prior to your reception. We understand how much responsibility falls onto the DJ/Emcee for your event and feel that being actively involved in the planning is one way to ensure you are satisfied throughout the entire evening of your reception. Easy pricing that includes everything you need to make your day memorable. 8 Hours of Music, including cocktail hour, dinner, and the main event! No additional charges for setup. Personal planning meeting with your DJ, at least once, prior to your big day. Experienced DJs that work with Good Time Music Service only. No outside contractors. Confusing package based pricing that overcharges for items that should be included. 4-6 hours of music with additional charges for setup, cocktail hour, and dinner music. Online planning guide only or charge for consults and personal meetings. Single DJs or multi-ops that contract novice DJs to fulfill overbooked dates. Our wedding DJs provide wedding music and emcee services for the Midwest area. We commonly serve Fort Atkinson, Janesville, Madison, Milwaukee, and the greater Jefferson County area. We also provide services for the Appleton and Green Bay areas, Minneapolis and the Twin Cities, the Dubuque and Des Moines areas, and the Bloomington-Normal and Champaign-Urbana areas.